What support measures are put in place in countries such as Vietnam, Cambodia, Nepal, the Philippines, Hong Kong or East Timor? Are they promising, encouraging, innovative? The day of exchanges “ASYA: international dialogue on street education” organized on March 22, 2018 by Asociación Navarra Nuevo Futuro in Pamplona (Spain) brings some elements of answer. The conference in the Hotel Tres Reyes de Pamplona, is part of the ASYA project organized by the Asociación Navarra Nuevo Futuro with its Asian partners. The goal is to strengthen street education networks in Asian countries. The project is co-financed by the Erasmus + program of the European Union. What experiences for children and vulnerable young people in Asia? 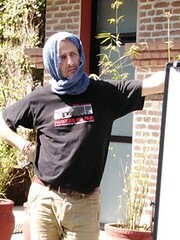 Issues such as sexual exploitation or the use of public spaces were discussed. What support measures are implemented in Asia? The six representatives of organizations working with the most vulnerable children and youth in Vietnam, Cambodia, Nepal, the Philippines, Hong Kong and East Timor presented the reality of their work and that of populations they accompany. What support measures are working in these countries? Street Education in Asia: Methodology of Last Resort. For these social workers, street work is the methodology of last resort. It reaches the poorest when other resources have failed or become ineffective. 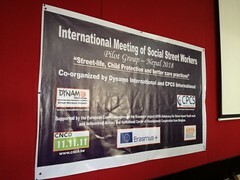 Dynamo International – Street Workers Network grew out of this need to identify and promote the know-how and working practices in this field.